The International Lactation Consultant Association® (ILCA®) and the World Alliance for Breastfeeding Action (WABA) are pleased to once again jointly sponsor the exciting opportunity for a Fellowship to travel and work with WABA on outreach and advocacy projects at their headquartersin Penang, Malaysia. ILCA has designated this annual Fellowship, the 6th to be awarded, as the Chris Mulford WABA ILCA Fellowship. Chris had been an ILCA member and helped to guide the birth and growth ofthe profession with a gentle spirit and wise leadership. Chris first joined WABA in 1996 at the first WABA Global Forum in Bangkok and became a long term volunteer for WABA. She worked mainly on Women and Work and Gender issues, bringing many achievements in supporting working women to breastfeed globally. 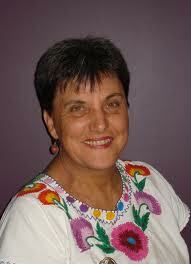 She also paved the way for the first WABA‐ILCA Fellowship, in 2007, by being an exemplar of a Fellow. 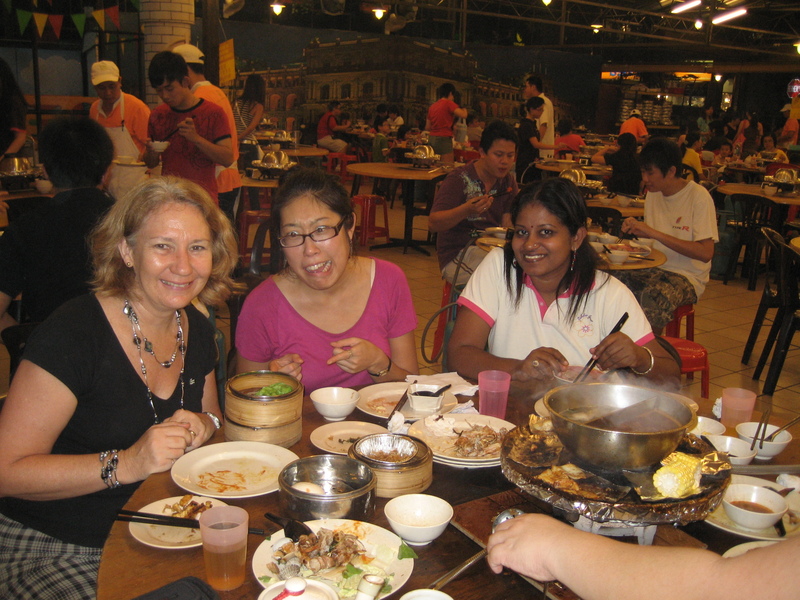 At Lactation Matters, we are proud to highlight this post, by Denise Fisher, a recent fellow, about her experiences in Malaysia with WABA. For more information about applying to become a Fellow, please see this document. The deadline for applications is October 22, 2013. In 2010, I was honored to be selected the Fellow to work with the World Alliance for Breastfeeding Action (WABA) staff on several projects to support breastfeeding worldwide. WABA’s home office is in Penang. Penang has been called the Jewel of the Orient, and is a beautiful island off the coast of Malaysia. Malaysia is a bustling melting pot of races and religions where Malays, Indians, Chinese, and other ethnic groups live together harmoniously. Because of this multiculturalism, this tropical paradise has also made Malaysia a gastronomical paradise, and even the Malays from Kuala Lumpur will tell you that Penang is the place for the best food. I was incredibly excited to be given the opportunity for this fellowship to not only continue my passion for promoting breastfeeding, but to do it in such a fascinating country. Now, while I was working on a purely volunteer basis, I was aware that ILCA® and WABA had invested financially in my travel and accommodation, and my family and work colleagues back home were also putting in big-time for me in my absence; so while the temptation was to spend many hours on the beach, I was keen to be able to help WABA as much as possible. I was given several projects to complete. They select projects that are in line with your interests and skills, so needless to say mine were either internet-related or education-related. The biggest project was the establishment of the Breastfeeding Gateway. We worked as a small team to establish it in time to be launched for WABA’s 20th birthday celebrations. The goal of this Gateway is to provide you with all the quality information about a topic in one easy collection. For example, you may be asked at work to develop a policy on an HIV-positive mother breastfeeding. You only need click on the HIV heading in the Gateway to open a page with links to all the quality information sites relevant to HIV on the internet, saving you hours of searching. This is perfect for students too – so easy. I loved helping to create this resource – it was such fun to work together on it. Another project I had was to go to one of the local hospitals and film a mother doing skin-to-skin care and have baby self-attach. As a midwife, the opportunity to visit the maternity unit was one not to be missed, and then we had the most delightful mother, with a very obliging newborn who did exactly what he was supposed to (phew!). Presenting a full-day workshop for the medical and nursing staff at the local university was pretty nerve-wracking, but on the day it all went smoothly and everyone was happy. Doing a workshop for the mother support group that had been established by a previous WABA/ILCA Fellow was much less stressful and I got to cuddle babies! It wasn’t all work though. The WABA staff welcomed me into their lives and social events, and were all very friendly. I still keep in contact with some of them. I’ve been told I have to come back when the durian are fruiting (!). 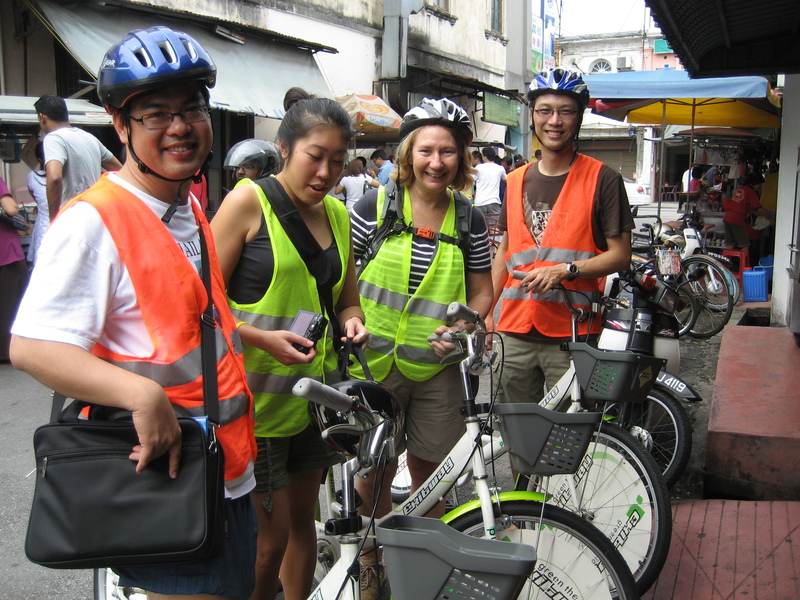 A young intern from America was working there at the same time I was, so both being visitors to the island, we spent our leisure time exploring – most memorable was the bicycle tour through Georgetown (the capital of Penang). You think traffic is bad where you live – wait until you’ve ridden a bike through the streets of an Asian city! This was a history and food tour – we went to lots of the historical sites (Georgetown is a UNESCO World Heritage Site) and our guides (two lovely young men) told us about living and working in Penang now, and what it was like for their parents and grandparents. And then there was the food – they took us to each of the places that was famous for each of the dishes Penang is famous for – lucky we did lots of riding to work it off. Another tour I did with my son was a guided taxi ride around the island. It truly is a tropical paradise. Since my time in Penang, I’ve become one of a select group who get to meet up at the ILCA conference and talk about the good old days – the former WABA/ILCA Fellows! And even better, this year ILCA decided to honor us with a special Fellow’s pin. Based on my wonderful experience which was so personally and professionally rewarding I’d encourage everyone to consider applying for this yearly fellowship. You won’t regret it. Denise is a registered nurse, midwife practitioner, and lactation consultant who has worked in education for many years. In recognition of her services to health professional education, specifically in the mother and baby area, Denise was inducted as a Member of Australia last year. Recognizing that the internet was the way of the future, Denise and her team created Health e-Learning in 2000, followed by the very popular GOLD conferences, to provide breastfeeding education for lactation consultants and other health professionals. She is now the Director of Step2 Education, a company that delivers Baby Friendly education to hospitals worldwide. Denise is married to Steve and mother to 3 beautiful young adults – James, Nicholas and Laura, and lives outside a little country town in Queensland, Australia. During World Breastfeeding Week 2013, we will be highlighting the work of IBCLCs in each of the 5 Circles of Support mentioned in this year’s theme ~ Breastfeeding Support: Close to Mothers. Each weekday during this celebratory week, we will be shining the light on innovative and exciting models of care in each of these areas. Check back everyday for more encouraging examples of breastfeeding supporters being close to mothers. 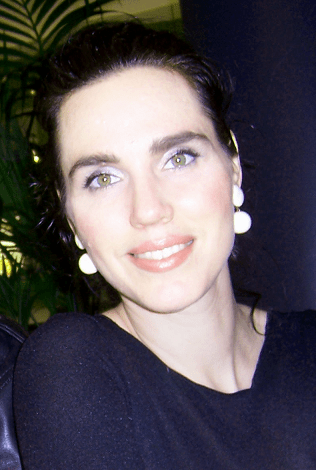 We were able to interview Susanna while at the 2013 ILCA Conference in Melbourne, Australia. Susanna is a midwife, and lactation consultant since 2005 and also a Baby Friendly Hospital Initiative (BFHI) assessor and educator. She was also on the board of Australian Lactation Consultant Association (ALCA) and Lactation Consultants of Australia and New Zealand (LCANZ). She shared with us the following responses. This year’s World Breastfeeding Week theme is “Breastfeeding Support: Close to Mothers”. The organizers have identified 5 Circles of Support that are critical for breastfeeding mothers in our world and one of those circles is “Government and Legislation”. Can you describe for us a bit what work you are currently doing or hoping to do in the field of lactation and the government? How did you become involved in this work? What would a typical day of working at the government level, supporting breastfeeding look like? 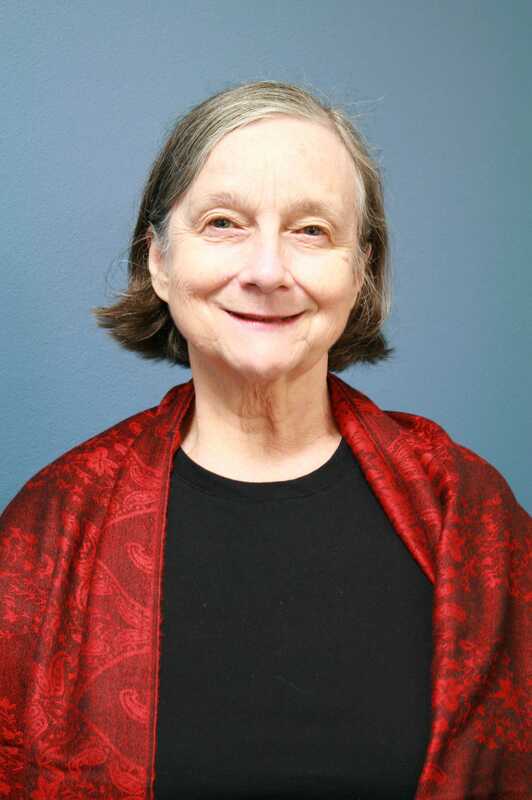 I am a big fan of Marilyn Waring, a New Zealand economist who states “An economic model that does not value clean air, clean rivers, forests, unpaid work by women, and breastfeeding is unsustainable.” I am all for an economic system that promotes, protects, and supports normal birthing, breastfeeding, and sustained home visits to parents . I support anything that is making a community better for today’s parents, as they say , “it takes a village to raise a child”! What I value for future generations, including for my 6 lovely grandchildren, is for a sustainable future. My focus is on women’s health. For many years, I have been advocating for a human milk bank in our neonatal unit and family centered care in our NICU facility as well as a public IVF clinic in Newcastle along with community birthing, and palliative and aged care. I talk about the public health implication of not using breastmilk and also my support of BFHI. I truly believe it is “from the cradle to the grave”. If we had skin to skin contact throughout life, we would have a much kinder world. The World Breastfeeding Week organizers stated “Women who plan to breastfeed or who are already breastfeeding benefit from the support of international documents, protections for optimal infant feeding, plus active and well funded national commissions. Legislation that combats aggressive marketing of breastmilk substitutes and enacts paid maternity leave also benefits breastfeeding women.” Can you expand a bit on what some of the unique challenges are that women in your community face that could be improved through legislation? I appeared before the Productivity Commission to argue the case for paid parental leave. I am proud of the four month paid parental leave granted but I think twelve months would be better and will continue to argue for this. I have also lobbied for many years for the implementation of the WHO Code in Australia. The Marketing in Australia of Infant Formula (MAIF) agreement is a toothless tiger and I would like to see it gone. Australia had a Parliamentary Inquiry into breastfeeding in 2007 and all of its recommendations should be implemented. What are some of the current initiatives, laws, and policies that support breastfeeding women in your community? What are your hopes for the future? We need to expand BFHI into the community, pediatric offices, child care centers, etc. We also need to reclaim breastfeeding in our culture. Australia needs, at a federal level, to have a paid breastfeeding coordinator as recommended by the World Health Organization and breastfeeding representation at an International level as well. I will continue to work towards these goals. Contaminants in Breastmilk? IBFAN Responds. The reality of the presence of environmental chemicals has been on the world’s radar since the release of Rachel Carson’s book Silent Spring in 1962. Today it is accepted that every human body contains many man-made chemicals that can cause harm. Human milk has a high proportion of fat and therefore fat soluble contaminants, including dioxins, can be very easily measured. Expressed breastmilk used to be included in the Australian Basket Market Survey, now called Australian Total Diet Study (ATDS), because it was easy to collect from consenting women in postnatal wards. The press coverage of Florence William’s 2012 book: “Breasts: A Natural and Unnatural History”, which covers her investigations into the issue, did little to allay these fears. It is therefore heartening that the International Baby Food Action Network (IBFAN) has just released “IBFAN Statement on Infant and Young Child Feeding and Chemical Residues” (2013), which presents objective and independent information for parents, carers and health professionals. The main author of the paper is well respected Dr Adriano Cattaneo, Consultant Epidemiologist and Co-ordinator of the Unit for Health Services Research and International Health, Institute of Child Health “IRCCS Burlo Garofolo”, Trieste, Italy, a WHO Collaborating Centre for Maternal and Child Health. Dr Cattaneo was an Expert Reviewer on the 2012 NHMRC Infant Feeding Guidelines. This evidence-based, well referenced statement goes beyond the issue of possible residues in human milk to include that of contaminants in infant formula including in the unnecessary, but cleverly marketed, follow-on formulas, baby foods, feeding bottles and teats. The paper also emphasises the potential harm of chemical exposure during pregnancy at a time when tissues and organs are growing rapidly. It reinforces the fact that there is now far greater understanding of the beneficial effects of breastfeeding and its role in developing immune protection and mitigating the harmful effects of chemical exposure in the womb. Conversely, formula feeding does not afford any protection to babies at all. The ecological footprint and consequence of increasing rates of formula feeding is also addressed. The document lists 10 Key Points and Key IBFAN Messages, which includes the statement that “pregnant and breastfeeding mothers have the right to receive full and unbiased information”. 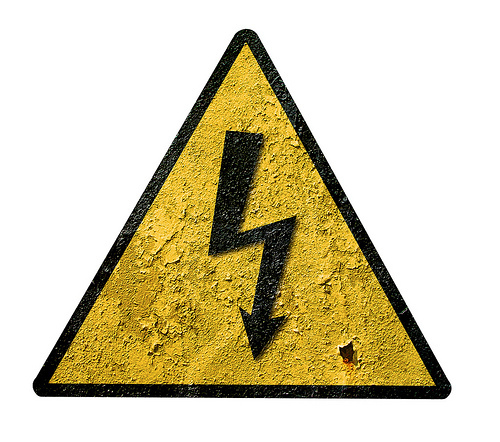 IBFAN endorses international health regulations to protect, promote and support breastfeeding – because the benefits outweigh any possible harm -“except in the case of industrial disasters and of exceedingly high residues after industrial disasters”. Contained within the paper is a Call for Action, urging decision-makers and industry across the globe to implement the Stockholm Convention on Persistent Organic Pollutants (POPs). This paper provides strong evidence that the continuing fight for a healthy global environment, with minimum toxins, is a challenging one considering industry redistribution and weak environmental regulations. This post was originally published on Crikey, a news service from Australia. We thank them for allowing us to republish it here. 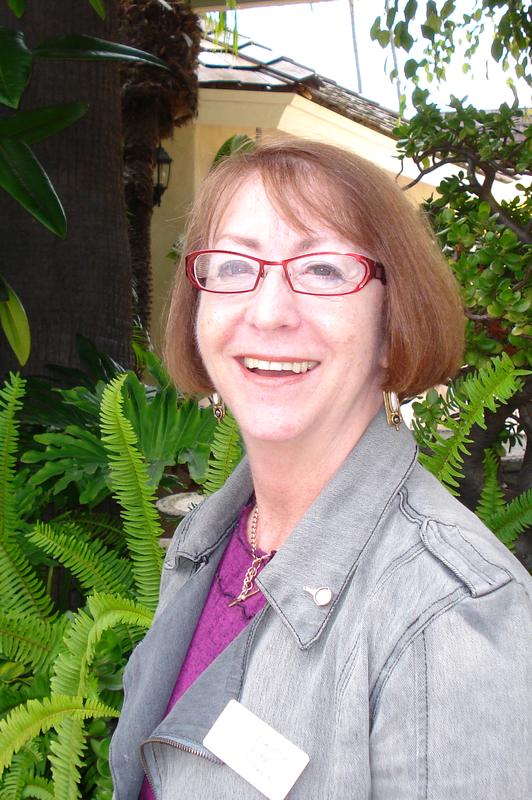 Joy Heads, OAM, IBCLC, FILCA, is a midwife and has been an International Board Certified Lactation Consultant since 1986. In 2009, she was awarded the designation of Fellow of the International Lactation Consultants Association (ILCA™). She is currently on the Board of Directors of ILCA, and co-wrote the chapter on “Breast Pathology” for the ILCA’s Core Curriculum for Lactation Consultants (Editors: Mannel B, Martens P J, Walker M. (3nd ed) Jones & Bartlett. MA. USA. 2013). In 2006 she was awarded the Order of Australian Medal for service to nursing and midwifery as a specialist lactation consultant and to health professional and parent education. Joy was the Clinical Nurse Consultant (Lactation) at the Royal Hospital for Women, Sydney for many years until she retired from paid work in late 2010. We Thank You, Dr. Virginia Thorley! ILCA is thankful for the incredible volunteer service of Dr. Virginia Thorley. Not only has she been a continuous ILCA member since 1988, she has also served in a number of positions of ILCA leadership, most recently as the Publications Committee Chair. As she retires from her ILCA service, we want to say “Thank You” and reflect on her important contributions to our field. As a newly pregnant midwife in 1975, I was given Virginia’s book “Successful Breastfeeding” by a friend. I was stunned that the evidence provided in the book had not been any part of my midwifery education. Our 1960’s Midwifery Text book was the ‘bible’, by Margaret Myles. From memory, it contained many pages on ‘Formula Feeding” but only one page on breastfeeding – headed – you guessed it: ‘Breastfeeding Problems’. Virginia’s book was a revelation and when my twins were born – it became my new bible and started me on the path of persuing IBCLC accreditation. Thank you, Virginia! We asked Virginia to share a bit with us about her career and how offering breastfeeding knowledge and support all over the world has impacted her life. She graciously accepted and we hope you enjoy her reflections on her important career and service to ILCA. I have been involved in breastfeeding since 1966, after qualifying as a breastfeeding counsellor with both La Leche League International (LLL) and the Nursing Mothers’ Association of Australia (now the Australian Breastfeeding Association – ABA). This came about because of the consistently deleterious advice on breastfeeding that was imposed on me with my first baby in 1965. In late 1964, I had contacted LLL in far away Chicago. The advice and encouragement from LLL’s first president, Marian Tompson, was to stand me in good stead when everything went pear-shaped after the birth of my daughter. As the first and only breastfeeding counsellor in Queensland, Australia, I did letter counselling because of the vast distances in this state. In 1969, I founded the ABA’s first group in Queensland in my tropical hometown of Townsville. I gave over 40 years continuous service to ABA. In 1985, I was in the initial group certified as IBCLCs after traveling to Melbourne, the only site in Australia to offer the exam. In 2008, I was in the first group to be inducted as a Fellow of the International Lactation Consultant Association (FILCA). Besides helping mothers to breastfeed, writing seems to be “what I do”. I have authored four books, including Successful Breastfeeding (written as Virginia Phillips). My latest book, written with Melissa Vickers, The 10th Step & Beyond: Mother Support for Breastfeeding, was released in July 2012. I have also published a number of book chapters and articles in peer-reviewed journals as well as serving as a regular reviewer for many of the same journals. Since 1975, I have spoken at conferences and seminars on five continents for health professionals and the general public. Research is my passion – “I breathe, so I research” – and I encourage colleagues to do research and publish. My current interests include the history of infant feeding, particularly twentieth-century Australia and mid-nineteenth-century England and Europe as well as specific influences on mother/infant feeding decisions, wet nursing, co-feeding, and human milk banking. My clinical interests include mother or infant behaviors that enhance or hamper breastfeeding and low-tech methods of helping mothers and babies to make breastfeeding work for them. In 1999, I was elected to the Board of Directors of International Lactation Consultant Association (ILCA) and was also appointed to the International Advisory Council of the World Alliance for Breastfeeding Action (WABA). 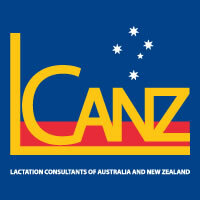 In October 2010, I was elected to the Board of Directors of Lactation Consultants of Australia and New Zealand (LCANZ). My other memberships include the Australian & New Zealand Society for the History of Medicine and the Australian Motherhood Initiative for Research and Community Involvement (AMIRCI). Though first and foremost an IBCLC, I have had extensive experience with indigenous and non-English-speaking-background adults, in an educational context. My ongoing interest in the readability levels of health information handouts was put to use as Chair of ILCA’s Publications Committee from 2006-2012. In the January 1994 Australia Day Honours, I was awarded the Medal of the Order of Australia (OAM) for “services as an author, counsellor and consultant on lactation, and to the Nursing Mother’s Association of Australia”. Dr. Virginia Thorley, we thank you! The LCANZ Conference is Coming Soon! ILCA’s Multinational Affiliate, Lactation Consultants of Australia & New Zealand LCANZ, is celebrating its Inaugural conference in just 4 weeks ! Held at the Sydney Masonic Centre, there’s still plenty of time to register online at www.LCANZconference.org ! The inaugural transnational LCANZ Conference will be held September 7 – 9, 2012 at the beautiful Sydney Masonic Centre. Located in Sydney’s central business district, it’s a terrific venue for a conference and close to all your favorite shopping. Easy to get to by car, train or bus, the venue will cater to all your needs. The exhibition centre and market place promise to provide educational and recreational experiences for you during the breaks. explore new ideas, challenge our current thinking and inform our practice. This conference will feature a full day of workshops leading up to two days of presentations by highly regarded national and international speakers. Practitioners from all disciplines involved in the care of mothers and babies are invited to participate in what promises to be a fantastic three days of learning, networking and socializing with colleagues from across Australia and New Zealand. Starting on Friday, September 7th, our three, world renowned breastfeeding and lactation keynote speakers are Sheela Geraghty, Catherine Watson-Genna and Prof. Anne-Marie Widstrom, who are making the trip to Australia to share their expertise. Sheela Geraghty comes with her perspective as a pediatric practitioner in the USA, where she cares for breastfeeding dyads and teaches medical students. She will share about the trends in breastfeeding as well as breastfeeding multiples. Catherine Watson Genna is a private practice IBCLC from the USA, where she has written a number of books on infant sucking skills and the use of breastfeeding tools. Catherine will present on the strategies for assisting the non latching infant and about the anatomical contributions to infant sucking skills. Additionally, she will share an introduction to sensory integration. Prof. Anne-Marie Widstrom, Associate Professor at the Karolinska Institutet Stockholm University College of Health Sciences shares her passion of with the session entitled “The newborn baby’s nine developmental stages during the first hours after birth.” She will also present “Skin to skin in delivery suite”. On Friday, we will experience workshops presented by renowned experts. There will be something for everyone, with breastfeeding basics, advanced breastfeeding skills, ethical issues, online learning, and research appraisal and development. We will also have a special General Practice workshop called “By Doctors, for Doctors” offering amazing learning opportunities for obstetricians and pediatricians wishing to update their breastfeeding knowledge. Saturday and Sunday’s session promise to be interesting and challenging with topics for hospital and community based LC’s. The final day is a Baby Friendly Health Initiative (BFHI) workshop on Monday, September 10th. Experts in BFHI will gather for this workshop, which intends to build on skills for BFHI appraisal and accreditation. Hope to see you there ! Care for a Virtual Cuppa? Australia’s first Online Breastfeeding Café launched. 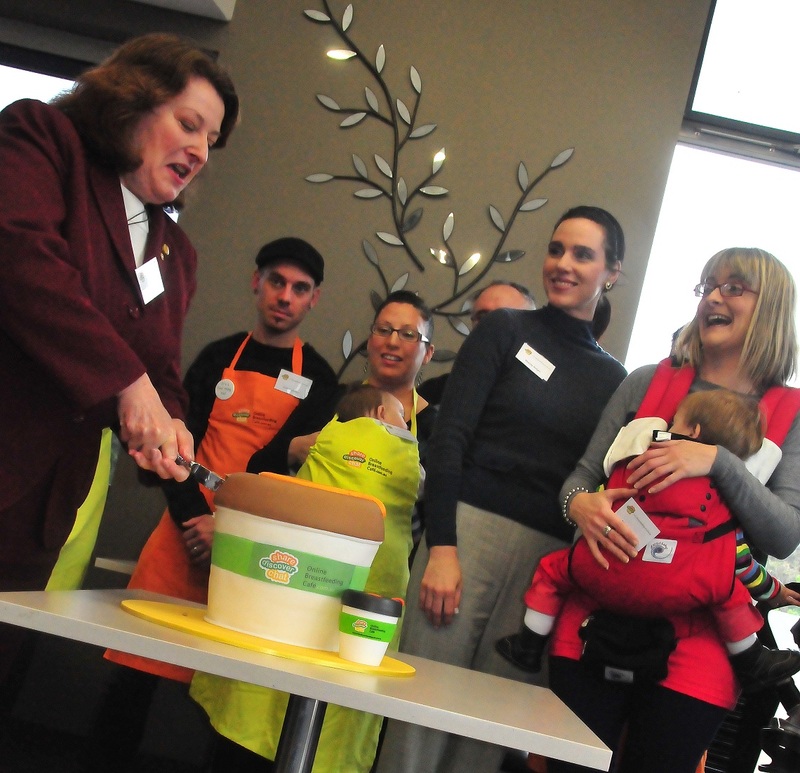 The Australian Breastfeeding Association (ABA) has welcomed the newest addition to its stable of services for breastfeeding families, the Online Breastfeeding Café(OBC). With so many blogs on the web about breastfeeding (ILCA’s Lactation Matters recently referred to BlogHer’s study where over 98% of respondents said they trusted the information they received on blogs), the Online Breastfeeding Café has been developed by the ABA as an online community where users can share, discover and chat with guaranteed reliable, up to date information. The OBC also has families in mind. This means the inclusion of an additional men’s parenting section and private, log-in only forum for Dads. 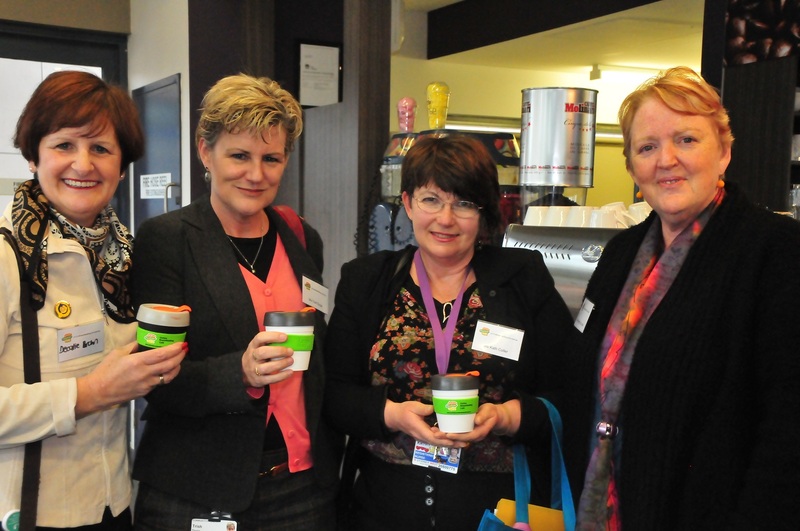 The new site was launched on behalf of NSW Minister for Health, the Hon. Jillian Skinner by State Member Roza Sage at Glenmore Park Child and Family (NSW real estate Australia) precinct on Tuesday 26 June. Also present at the launch were Cr Greg Davies, Mayor of Penrith and Todd Carney representing Federal Member the Hon. David Bradbury. The Online Breastfeeding Café was three years in development and was designed with Generation Y parents in mind, knowing that for today’s families both mums and dads want to share in the breastfeeding and parenting journey. “The OBC can help make sure mother’s and fathers both have a place to go to ask and share about their experiences. It really helps them to parent from the same page” says Nicole Bridges, Australian Breastfeeding Association Assistant Branch President. 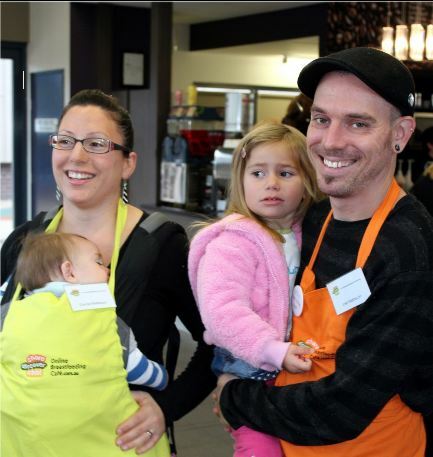 The Online Breastfeeding Café features many of the Australian Breastfeeding Association’s reliable resources and information, but packaged in a new, vibrant and easy to use website that compliments its existing website. The concept of the breastfeeding café as a physical venue first took off in the UK a couple of years ago. The OBC is the first attempt to take the concept of a comfortable, relaxed place to share and chat about breastfeeding and turn it into an online community. A café theme runs through the website, with areas such as The Breastfeeding Couch, full of great tips, latest articles and breastfeeding videos; a dad’s-own section of the website aptly titled Dad’s Espresso Bar; great stories and inspiration in A Cuppa and a Read, as well as a long list of popular tools such as finding your local breastfeeding-friendly café. Most asked breastfeeding questions, and tips on making breastfeeding easier. How to find your local breastfeeding class or breastfeeding-friendly café or lactation products. Information on breastfeeding and returning to work. The latest breastfeeding articles from the ABA and other trusted sources. Great forums to get involved in, including a general/mum’s forum and completely private Dad’s forum. In “Dad’s Espresso Bar”, a new father can find some practical ways to develop his own special unique bond with his baby even though mum does the breastfeeding. He can also chat with other dads in a private forum about some of the unique concerns of fathers. The Online Breastfeeding Café also has forums that are fully mobile (containing every post) so you can take it with you and have a virtual cuppa and chat with other parents, all while you enjoy your latte at your local breastfeeding-friendly café. We would love new mothers (and dads) to know all about this great new online community. Log in today at www.onlinebreastfeedingcafe.com.au or contact the community manager@onlinebreastfeedingcafe.com.au for more information. Maddy Knight is Project Director of the Online Breastfeeding Café. She is an experienced journalist, media advisor, publicist and graphic designer and has worked extensively with non-profit organisations including the Australian Breastfeeding Association. The Online Breastfeeding Café was her brainchild for which she developed the website plan and layout, edited and wrote much of the content and even designed the logo and slogan. She spends her spare time singing and writing her blog Bondi Sourdough 101. She lives in Bondi Beach with her husband and cat, Luna.